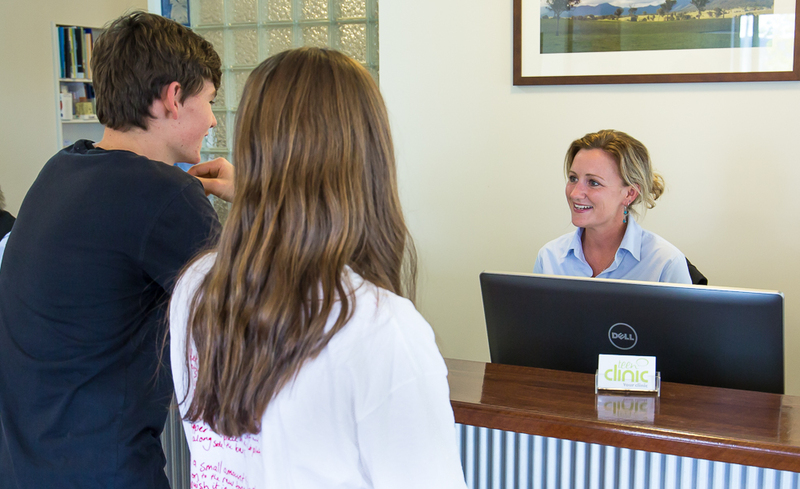 The Bega Teen Clinic is a nurse-led, early intervention model of access to primary health care for teenagers, which sits within existing general practices providing a drop-in service for young people in rural towns. Located in Bega, New South Wales, Australia, the aim of the Teen Clinic model is to break down barriers for young people accessing preventative health care. The long-term health and social benefits of being able to prevent an unwanted pregnancy or linking someone to psychological interventions prior to them becoming suicidal are life changing. The Teen Clinic was born out of need. The town of Bega is an area of high socio-economic need and access to public transport is poor. About three years ago a spate of youth suicides occurred in the small town which had a significant and lasting impact on the community. The pathways between local schools, young people and the health system were poor, and it was clear that the traditional ways of accessing care such as making appointments with the family General Practitioner (GP) were seen as large barriers for young people. Transitioning from seeing a doctor as a child accompanied by parents to seeing a doctor alone, with new health concerns and issues, can be scary for many teens. A Practice Nurse is available two afternoons a week at the Teen Clinic for drop-in consults. Teens may attend for STI screening, contraception advice, relationship concerns, mental health issues or general health and education. The nurse’s role is to be a soft entry point to triage the teenagers, provide initial screening and/or health education and to act as a facilitator to GPs and other providers as needed. The Teen Clinic model utilises existing infrastructure, clinicians and staff and is therefore a financially and resource efficient model for delivering youth services in rural towns. This team-based model of care includes reception staff, nursing staff, psychologists and GPs within the practice, but also aims to build community engagement and relationships with other services such as teachers and counsellors, mental health workers, family support services, and employment and housing support agencies. The Teen Clinic brings a comprehensive community approach to care coordination for this at-risk group. A mother phones the surgery saying she is worried about her son’s mental health. They are unable to get an appointment with their usual GP for two weeks. She phones to ask if she can bring her son to the Teen Clinic. She is reassured by reception that this is totally appropriate. The son is seen in the Teen Clinic by the nurse and reviewed by a GP that same day for a Mental Health Care Plan. It is determined that it is not an acute mental health presentation and he is booked with the on-site psychologist within the next three days. In Bega, a non-urgent psychology appointment can usually take 2-3 months to access. A young woman presents to reception on a non-Teen Clinic day with an Implanon (long-acting reversible contraception) in hand, asking if someone can put it in as soon as possible. Despite staff being fully booked, and it is outside of allocated Teen Clinic hours, the teenager is not turned away, but is referred to one of the nurses. This whole-of-practice approach towards accommodating teenagers when they need help results in a young person leaving the practice with her Implanon inserted, potentially preventing an unwanted pregnancy. The Teen Clinic has received recognition and support from the Australian Primary Health Care Nurse Association (APNA) and the Primary Health Network Coordinare. The Teen Clinic model has been presented to the bipartisan ‘Friends of Youth Suicide Prevention Committee’ at Parliament House. Each of these organisations recognise the potential for this model of care to be replicated in other rural towns in Australia, thus improving access to timely, free and appropriate care in towns that would otherwise miss out. The Clinic staff are now in the process of working alongside APNA to develop a package of educational requirements that would support the professional development of Teen Clinic nurses. Maximising the nurses’ scope of practice in this way is innovative within a general practice setting. By working at top of their scope, Teen Clinic nurses are seen as a high-quality link in the communities, supporting young people to become educated health care users.